Technical Car Experts Answers everything you need: grinding sound from brakes while driving car? Worn Out Brake Pads or Shoes: The brake pads on your car are designed to slow the vehicle when applied. If the brake pads are completely worn out they will make a grinding noise when the brakes are applied. The grinding noise is created when the pad is forced against the brake rotor in normal braking operation. To check for this condition inspect the brake pads in question. The brake pads should have composite material between the pad backing plate and the brake rotor , or on the rear of the vehiclebrake drum and shoes. If a brake grinding noise is allowed to continue, brake operation failure could occur. The rotor featured below is a perfect example of what can happen if a brake grinding noise is left unattended. 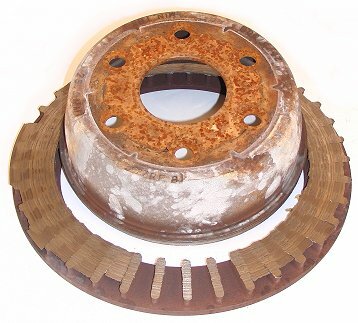 When a grinding brake rotor is neglected, it will cause the brake system to fail due to the separation of the rotor hat (center) from the outer web (braking surface). Additional problems the can occur include the brake pad to fall out completely or the brake caliper to blow out a piston. Either condition will cause brake operation failure. Do not drive the vehicle in this condition, brake operation failure will occur. Checking Engine and Transmission Mounts: The engine mounts in your car are designed to hold the engine and transmission in place. When these mounts fail it will allow the engine to settle onto the car frame producing a grinding noise. To inspect for this condition the car will need to be lifted and the engine mounts inspected. Look for separation of the rubber and metal mounts that hold the mount together. If separation is detected the mount must be replaced. Checking Axle Bearing Failure: An axle bearing is designed to support the weight of the vehicle while allowing the wheels to rotate. These bearings are manufactured with high grade steel that resists wear under extreme conditions. When an axle bearing fails it allows metal to contact metal under pressure with a linear motion creating a grinding noise. Once an axle bearing fails it cannot be repair, replacement is required. Remove axle bearing and replace with new and recheck. Some vehicles are equipped with a bearing hub assembly. 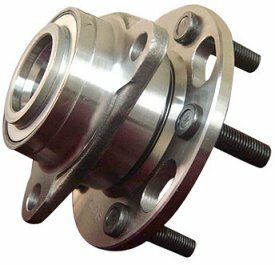 The bearing below is the style of bearing is replaced by un-bolting the bearing hub assembly and replacing it with new. 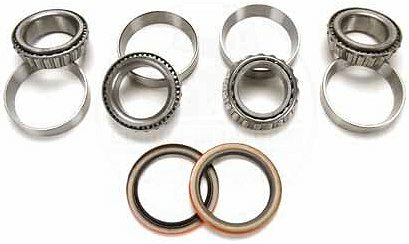 Other bearing designs include separated bearings that include inner and outer bearings with bearing races, a four piece set. Separated bearings require an inboard seal attached to the bearing hub. This seal rides on the spindle to hold grease inside of the bearing hub, keeping lubrication inside of the bearings. Grinding Noise When Going Into Gear (standard transmission only): When your car is stopped or coming to a stop the engine needs to be disconnected from the transmission or the engine will stall. 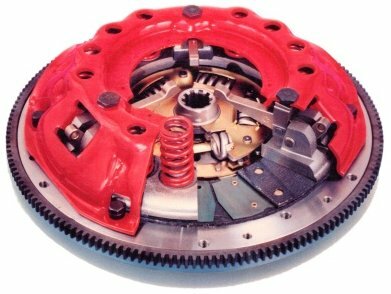 With automatic transmission vehicles a torque converter is used to separate the two units, but with manual transmission vehicles a clutch assembly is used to do the job. When a clutch malfunctions it can not allow the engine to become disengaged from the transmission. When this condition occurs the input shaft of the transmission is not allowed to stop rotation, as a result this will not allow the transmission to be engaged into any gear. When a gear is selected a grinding sound will be produced. If this is the case in your car the clutch operation must be inspected and repair as needed. 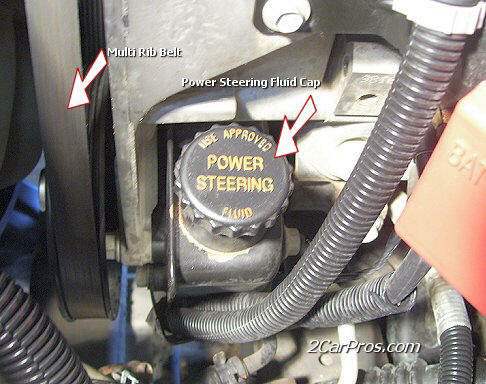 Checking Power Steering: A power steering system is designed to utilize power from the engine to assist in the force needed to steer the vehicle. When the engine is running, a multi ribbed serpentine belt is used to transfer engine power to a hydraulic fluid pump. This pump pressurizes fluid and then transfers this fluid using power steering hoses that are connected to a power steering box or rack and pinion depending on how the car is designed. When the power steering system has run low on fluid it can create a grinding noise. This noise is more apparent when steering the car. When the power steering is malfunctioning the vehicle will be very difficult to steer. It is advised not to move a vehicle with the power steering system not operating. Any steering component malfunction can cause the vehicle to be uncontrollable. When a malfunction occurs check the system fluid level and add as needed. When this condition occurs the power steering system has a leak and needs to be inspected and repaired. Check Starter Operation: If a grinding noise is present when the engine is cracked over, chances are the flywheel is damaged. When this condition occurs the flywheel teeth have become worn and are not allowing proper mesh between the start drive gear and the flywheel. This means the teeth used to drive the flywheel or flex plate have been worn off. To repair this condition the flywheel will need to be replaced. 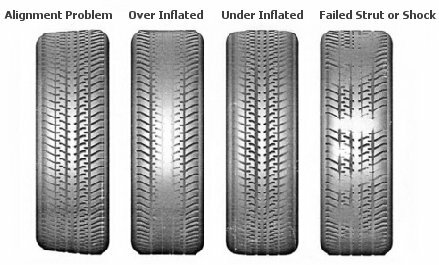 Check the Tire Wear Pattern - A tire with a scalped tread pattern on the tire will cause a grinding sound at speed over 45 MPH. This tire condition is caused by a combination of worn struts or shocks and or tire imbalance. If a tire is controlled unevenly the tire will vibrate causing the tread to contact the ground inconsistently. This inconsistent contact with the road causes the tire tread to wear unevenly. (Cupping, tire example on the right). To check for this condition take your hand and pass it over the tire tread, it should be smooth. If high and low points exist the tire is cupped and needs to be rotated or replaced depending on the severity of the cupping condition. Labels: grinding sound from brakes while driving car.